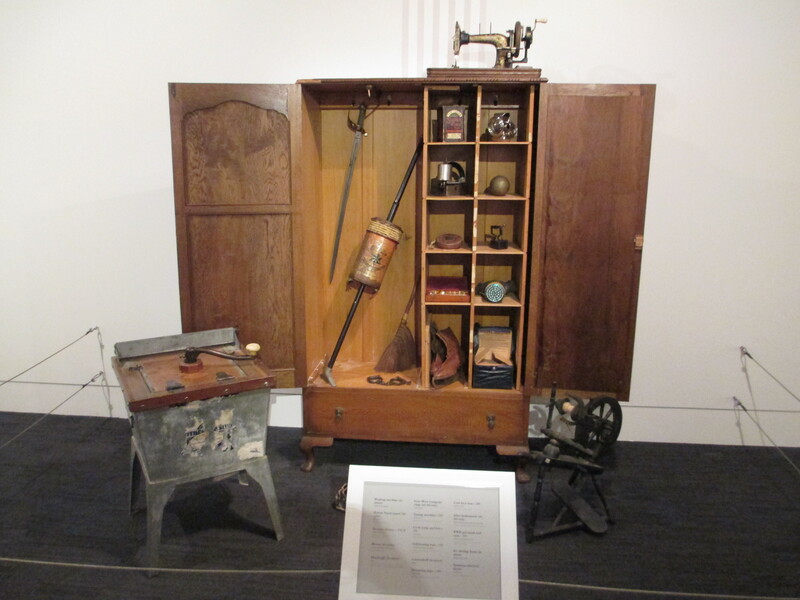 If you are wanting to take a peek at more objects from the Petone Settlers Museum collection then come down to see Dear Nostalgia. Now on, until 2 November upstairs at The Dowse Art Museum. 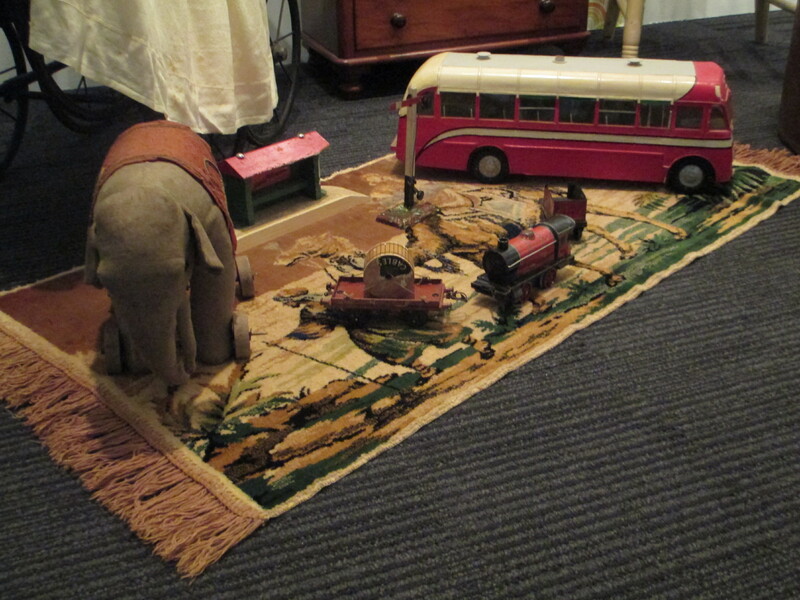 Featuring a wide selection of objects, from toy trains to a WWII gas mask, an elephant on wheels and an early vacuum cleaner. 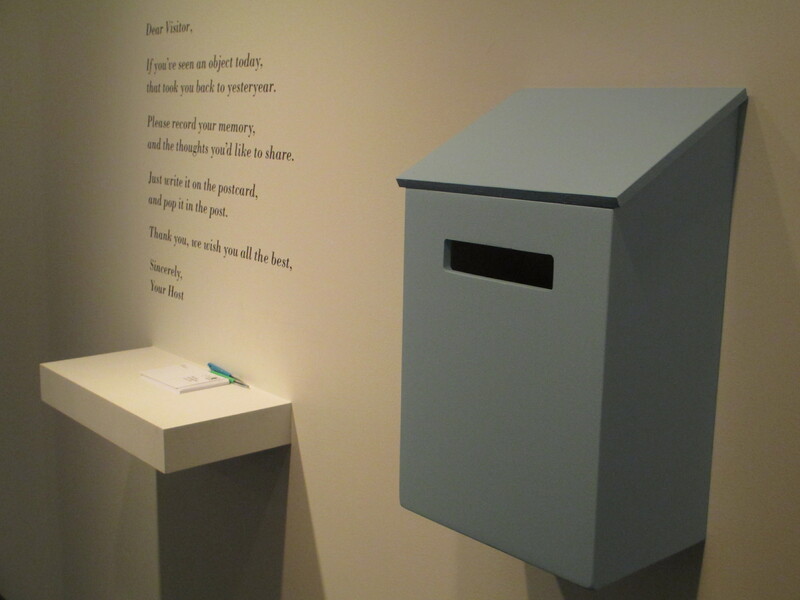 There is a spot in the gallery where you can write down any particular memories the items evoke for you on a postcard and pop it into the post box. So come on down to The Dowse, take a stroll down memory lane and share your long forgotten moments. This entry was posted in PSM and tagged memories, nostalgia, Petone, The Dowse. Bookmark the permalink.